The Plaza Hotel Lobby. 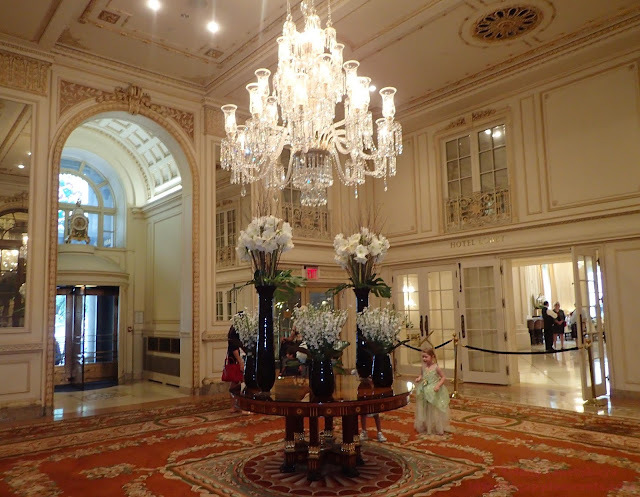 When the hotel opened in 1907 a room at the Plaza Hotel was only $2.50 per night, the equivalent of $65 n 2018. Manhattan Beach in Brooklyn, originally an exclusive and private vacation spot for the wealthy. 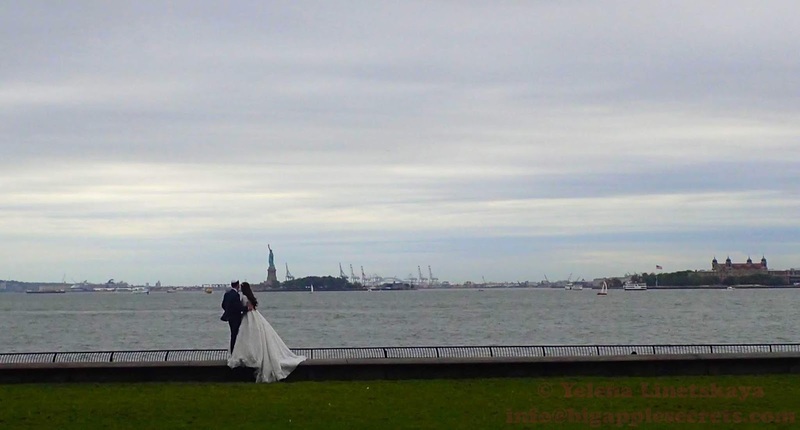 The view of the Statue of Liberty and Ellis Island from the Battery Park. Grown Up Flowers, a multi-site installation by PLAYLAB, INC launched May 2018. 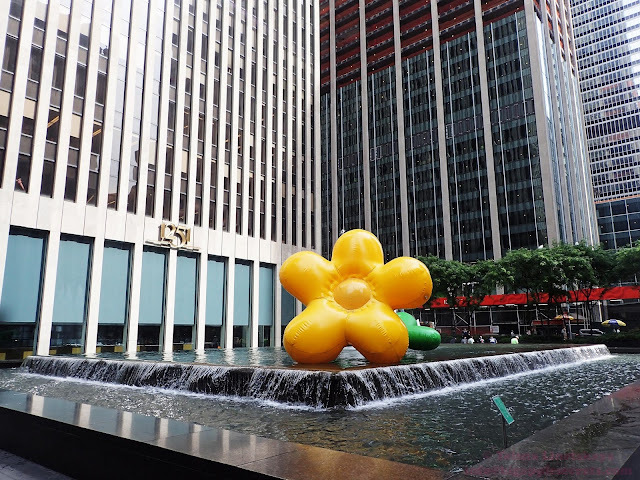 Larger-than-life inflatable flowers popped up along Sixth Avenue. 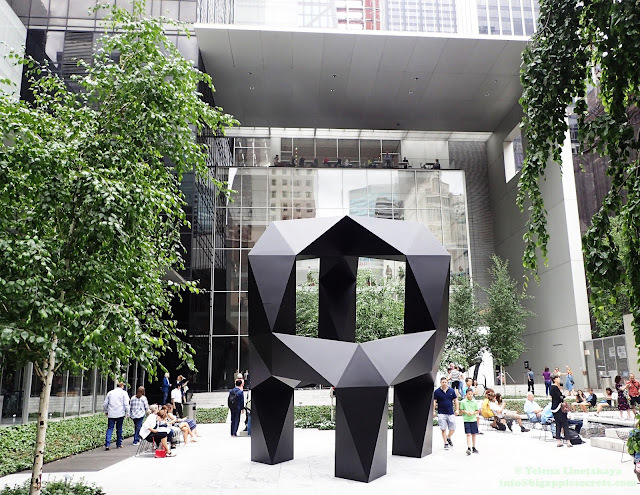 Sculpture Garden in the Museum of Modern Art, designed in 1953 by MoMA's Director of Architecture and Design, Philip Johnson, and dedicated to Abby Aldrich Rockefeller, one of the Museum's founders. Her townhouse home once stood on this site. 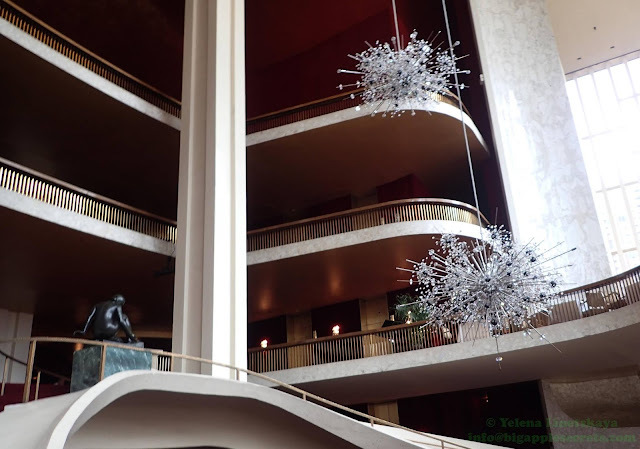 Crystal chandeliers in the Metropolitan Opera House donated by the government of Austria as repayment for American help during the Marshall Plan following World War II. 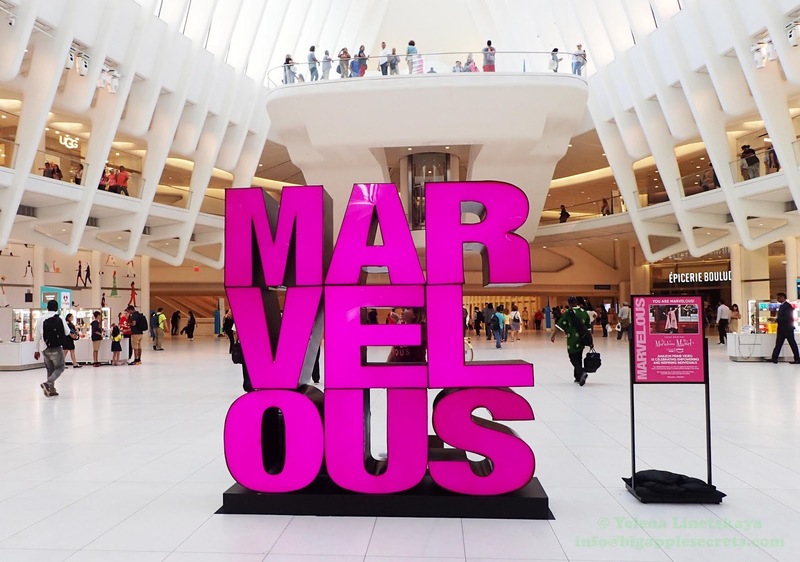 The Oculus at the World Trade Center. The large letters that spell out the word “Marvelous” are there celebrating that the Marvelous Mrs. Maisel movie is now available on Amazon. The glassy building, by architect Francis Cauffman at 620 Fulton Street in Fort Greene’s BAM Cultural District, Brooklyn, was designed to fit an unusual teardrop-shaped site. 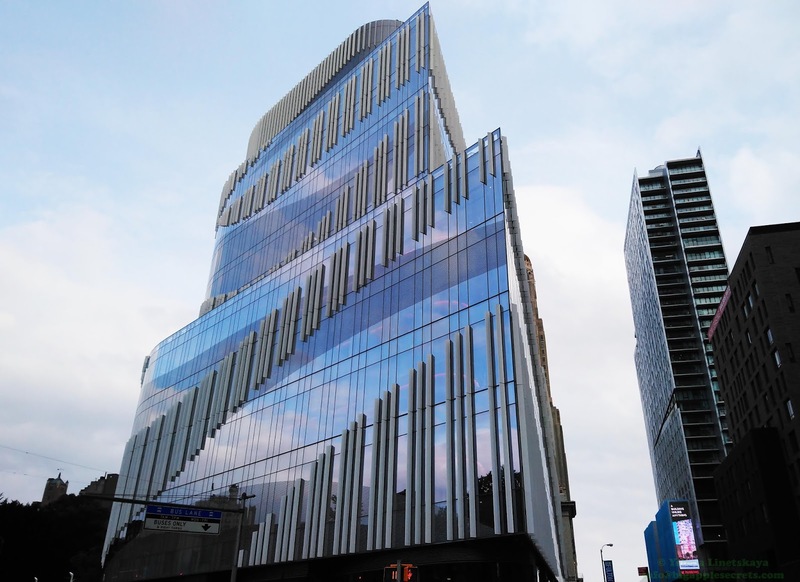 The building was completed in summer 2017. 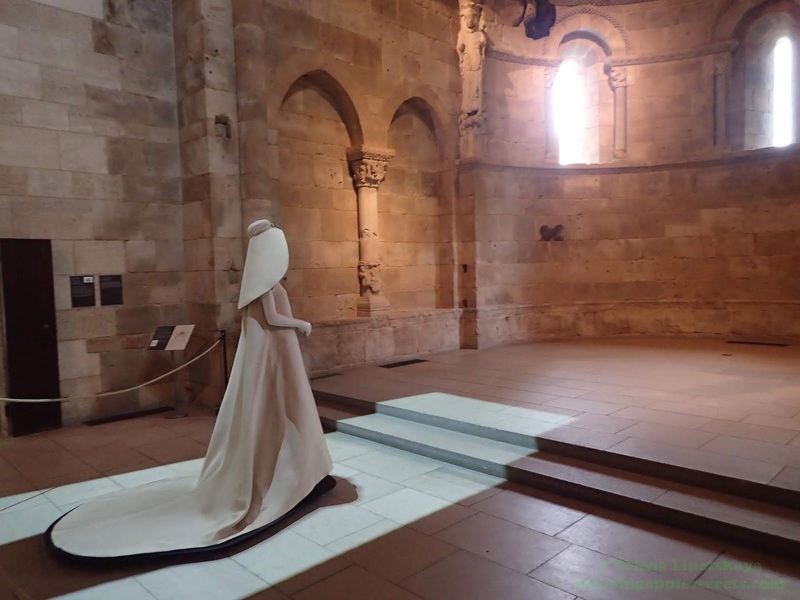 Costume Institute's spring exhibition,"Heavenly Bodies" at The Met Cloisters, located on four acres overlooking the Hudson River. The Times Square Recruiting Station stood at the Crossroads of the World for 70 years. 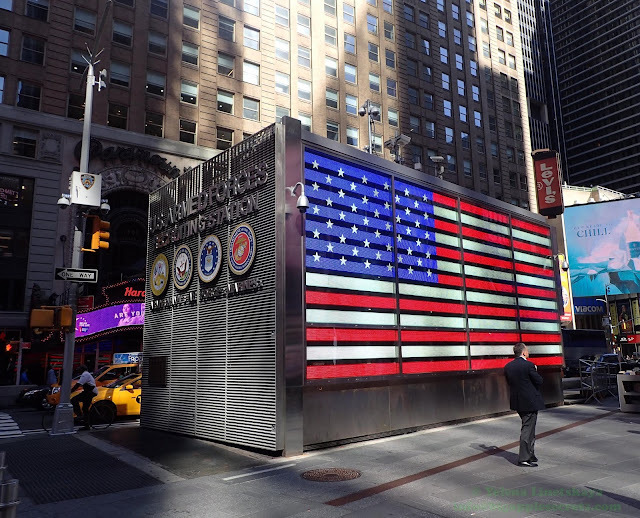 It was the nation’s first joint armed forces recruiting station, and it is the busiest walk-in recruitment center in America. 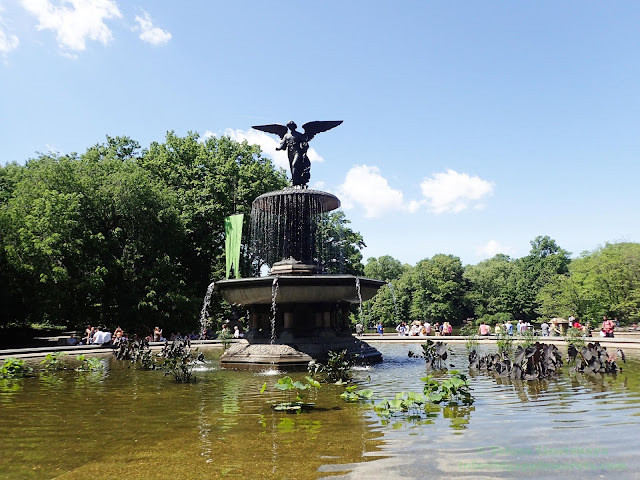 The Angel of the Waters statue atop the Bethesda Fountain is the 1860s masterpiece of the sculptor Emma Stebbins and was the earliest public artwork by a woman in New York City. 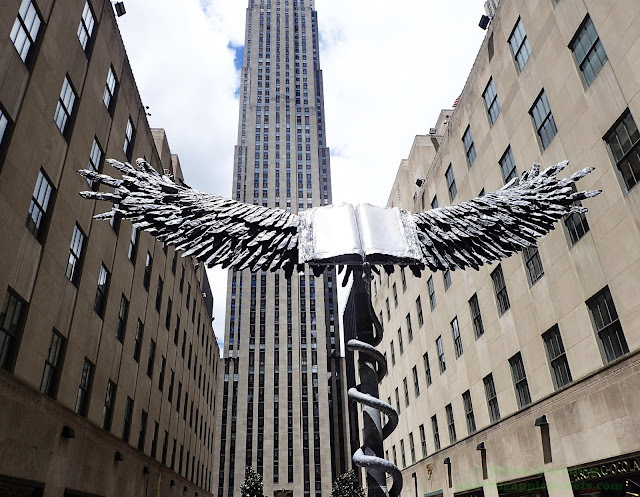 Anselm Kiefer's 20-foot-tall and 30-foot-wide “Uraeus” sculpture In Rockefeller Center. The title of sculpture refers to the Egyptian cobra. Victorian Gardens at Central park. 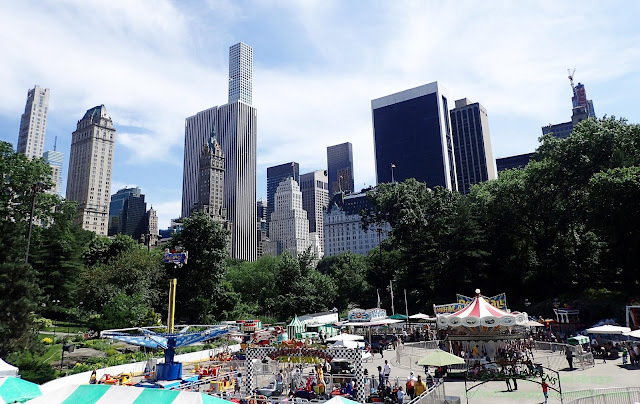 Opened in 2003 amusement park occupies Wollman Rink every summer from June to September. The Lombard Lamp at the corner of Central Park near Plaza hotel, a replica of the ornate streetlights that grace the Lombard Bridge in Hamburg, Germany. 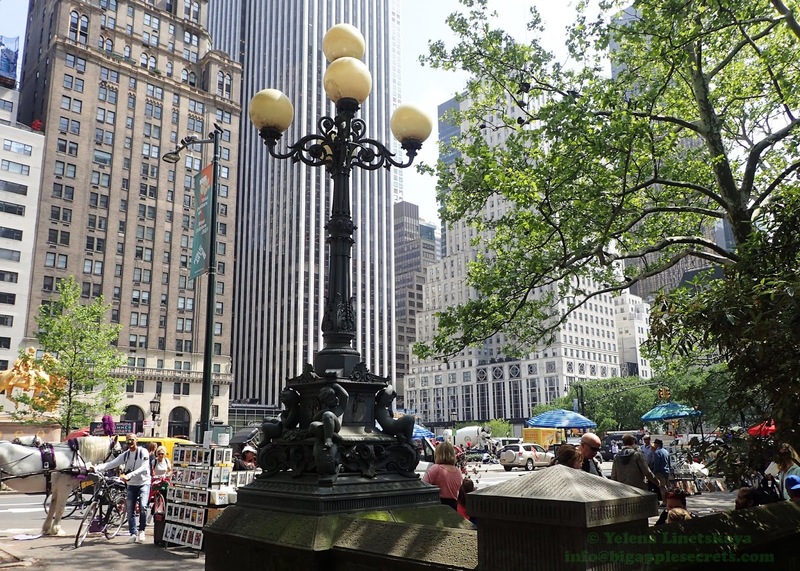 The gift of this lamp symbolizes the sister-city relations between Hamburg and New York. New York skyline with American Radiator Building built in 1924 for the American Radiator Company and Empire State Building, 102-story Art Deco completed in 1931. 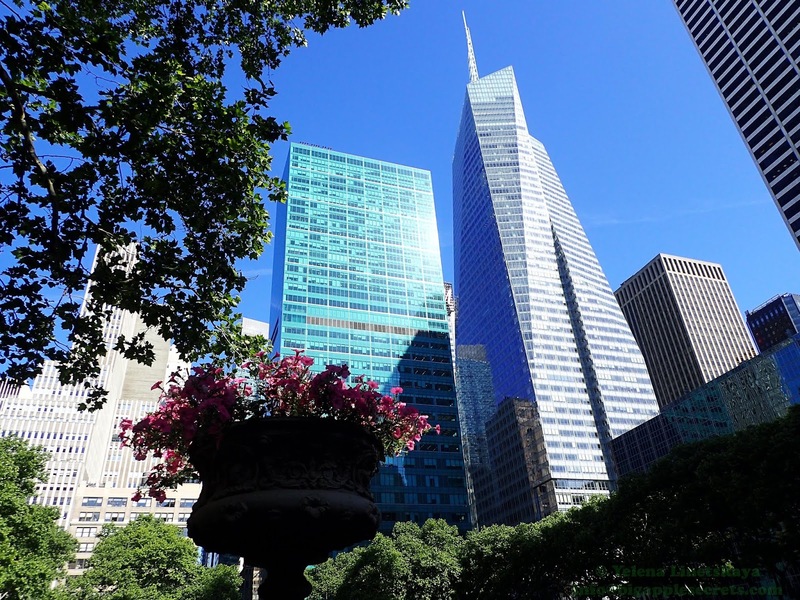 The view from Bryant Park. Alice in Wonderland, inspired by characters of the Lewis Carroll classic Alice's Adventures in Wonderland, in Central Park. The bronze statue was commissioned by philanthropist George Delacorte as a tribute to his late wife and a a gift to the children of New York City. 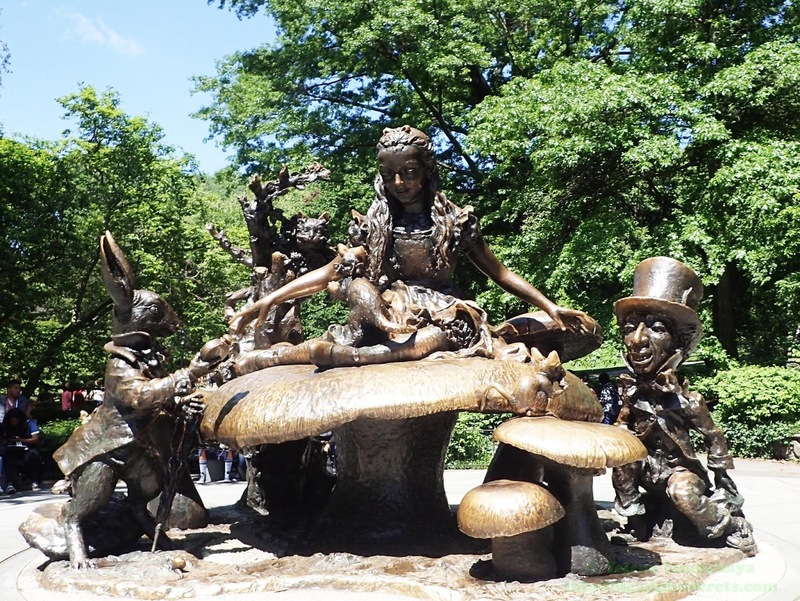 The host of the story's tea party is the Mad Hatter, a caricature of George Delacorte. 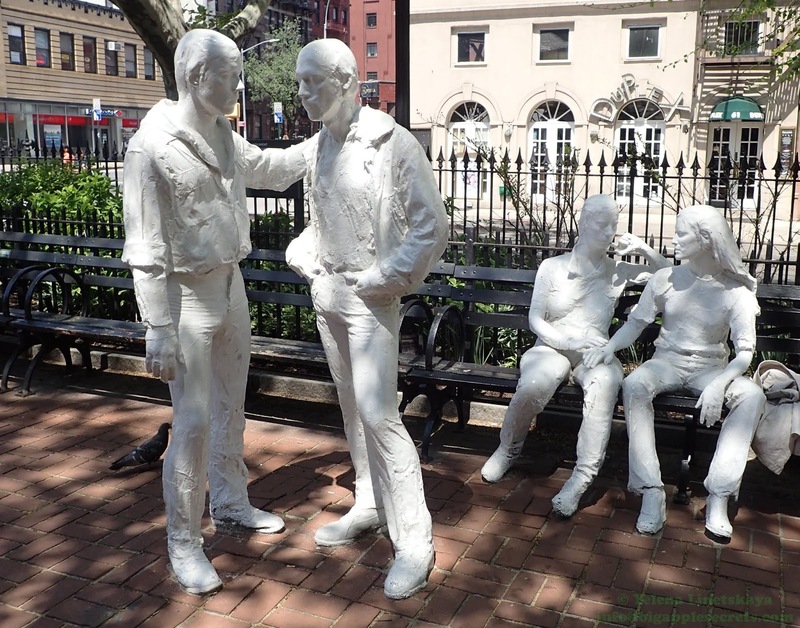 Gay Liberation by American artist George Segal, in Christopher Park, West Village, Manhattan. 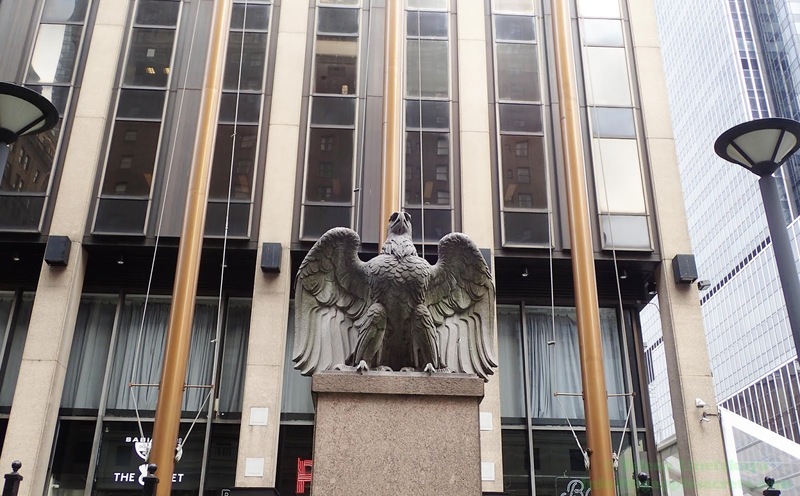 It was completed in 1980, installed in Madison, Wisconsin and moved to New York in 1992. 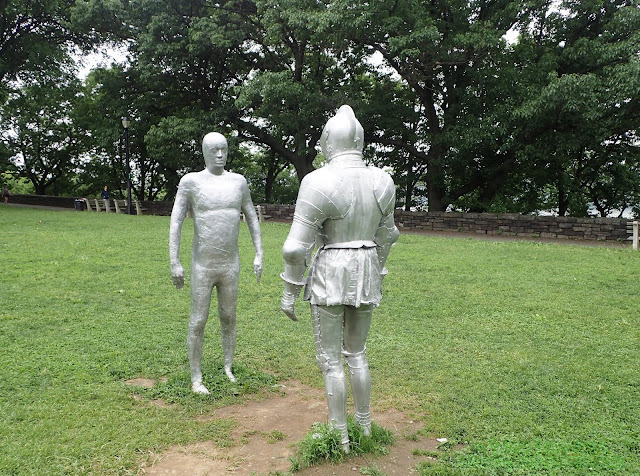 ARMORS, a new outdoor art in Fort Tryon Park near the Cloisters and Washington Heights by Icelandic sculptor Steinunn Thorarinsdotti. 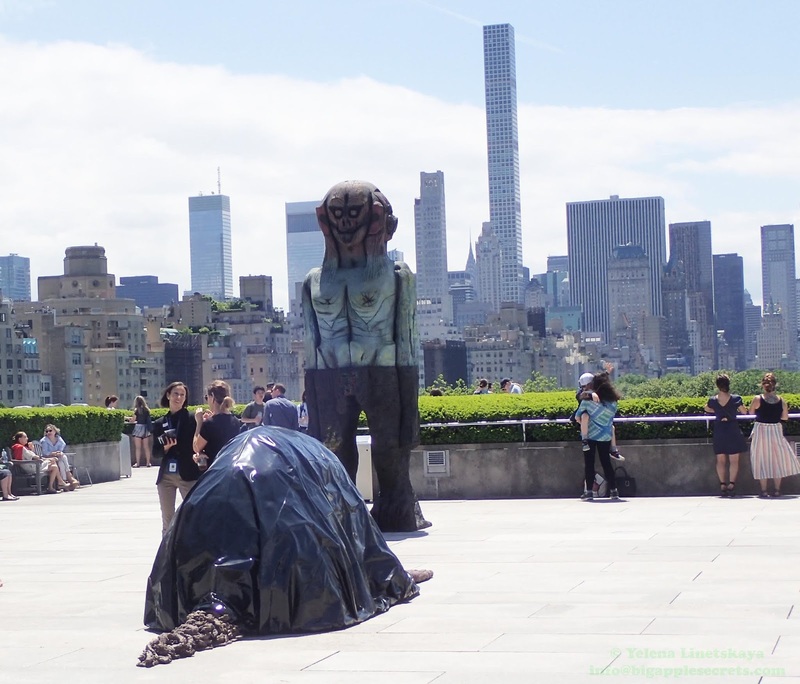 The figure of the knight replicates the 16th century armor found at the Metropolitan Museum of Art. 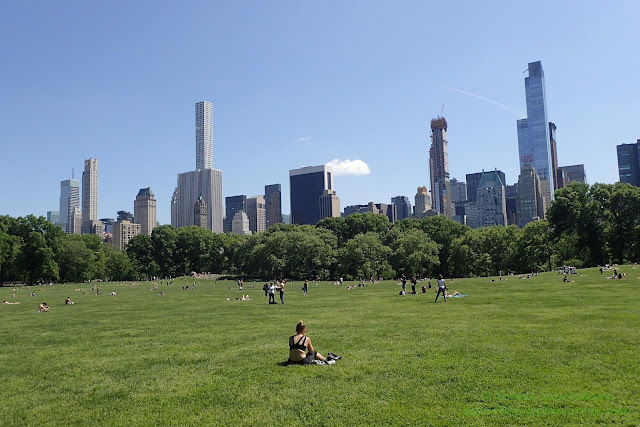 Sheep Meadow, 15-acre preserve at the west side of Central Park. It hosted around 200 pedigree Southdown sheep for 70 years.In 1934, Central Park commissioner Robert Moses moved them to Prospect Park in Brooklyn. 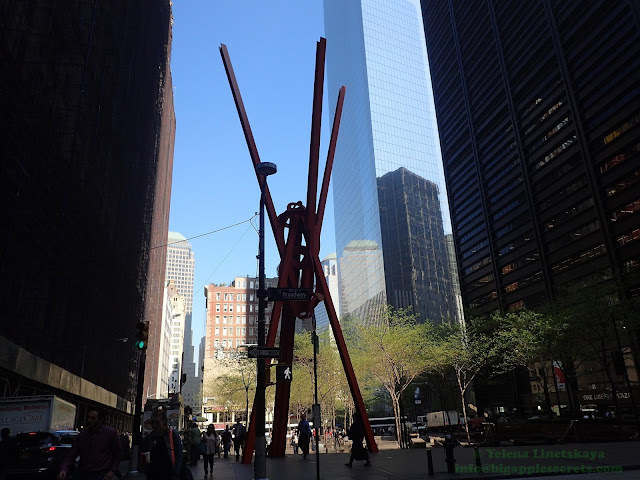 "Human Structures" by artist Jonathan Borofsky at pedestrian plaza named Plaza33 next to Madison Square Gardens and Penn Station. 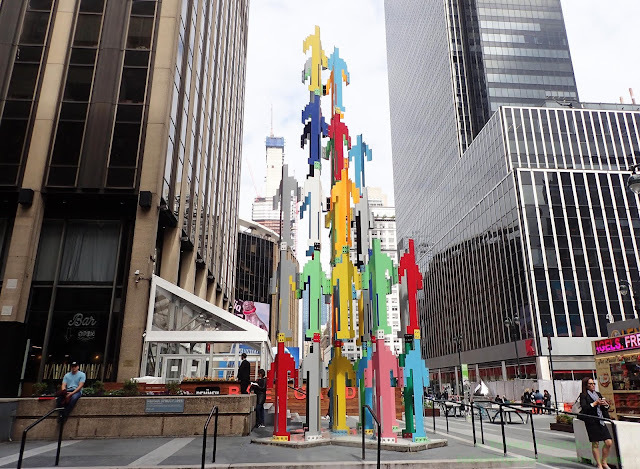 The installation is made up of 62 interconnected figures. 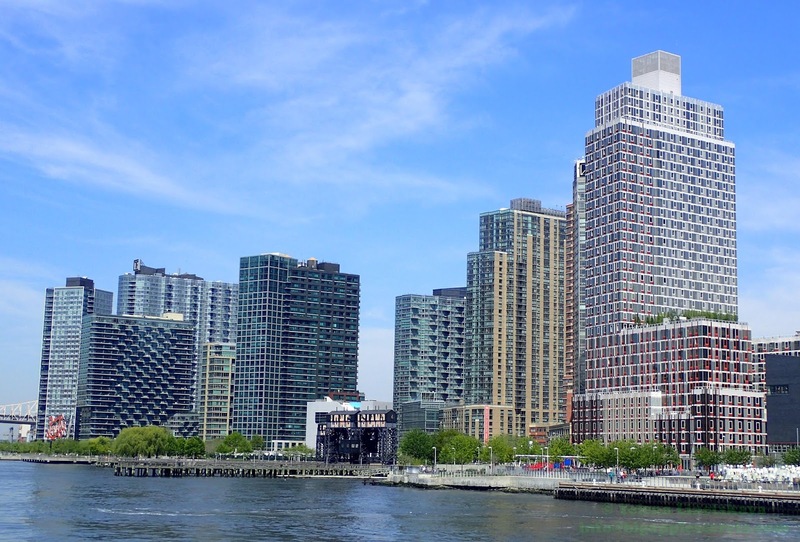 Clipper City, New York's only tall ship with the length of 158 feet and masts rising twelve stories in the air. 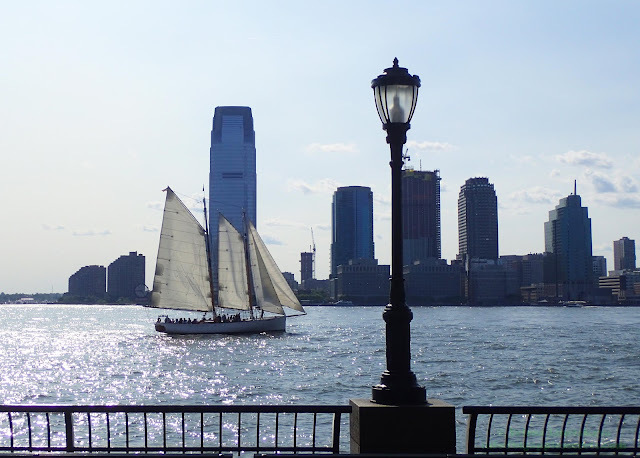 Clipper City departs from Slip 2 at the South end of Battery Park in Lower Manhattan. 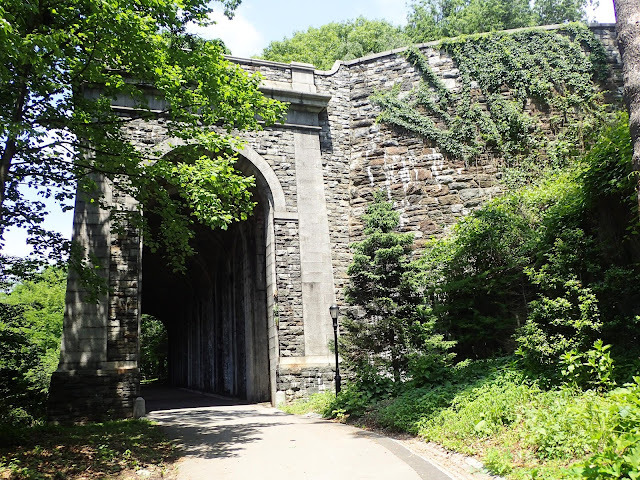 The Remains of Fort Tryon Park's K.G. 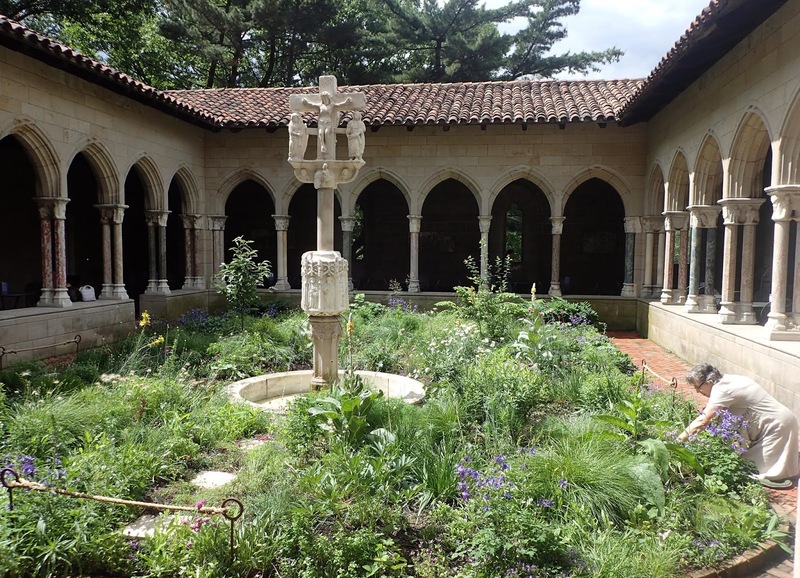 Billings mansion called Tryon Hall, near the Cloisters. Cornelius Kingsley Garrison Billings was a wealthy industrialist, a noted horseman and tycoon. 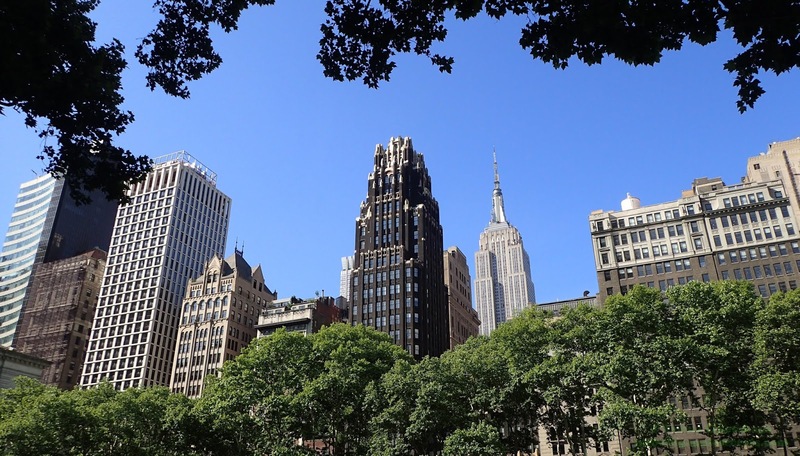 By early 1917 Billings sold the parcel to John D. Rockefeller, Jr. for $35,000 per acre. 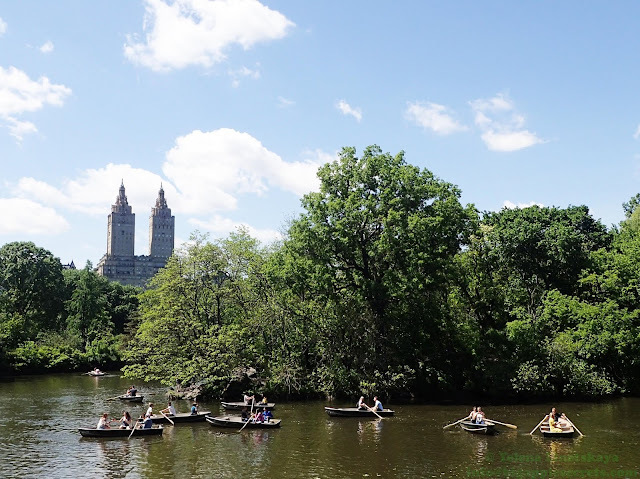 Boating on the Lake, Central Park's second largest water body.Rowboat is only $15 per hour (cash only) and holds up to 4 people. Long Island City on the western edge of Queens, across the East River from Manhattan , is the fastest-growing urban neighborhood in the U.S. More than 14,000 new Long Island City apartments were added in the past decade, with the vast majority (11,000) dedicated to rentals.